He's been patiently perfecting his craft for a while now. Paying his dues by appearing in music videos, then onto romantic comedies and action-packed dramas. Turning up humble and grateful to Hollywood award shows, thankful to just be nominated amongst his respected peers. 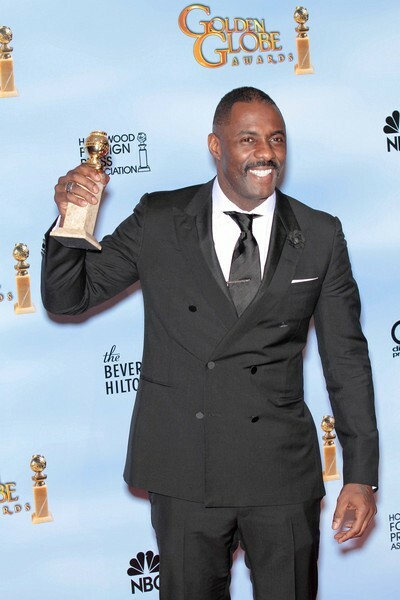 But isn't it ironic that after years on the American big screen, Idris Elba finally received his first major award for a British programme. Ironic but fitting nevertheless. Elba won the Golden Globe award for 'Best actor in a TV miniseries or movie' for 'Luther' at the weekend, and he joined fellow Brit Kate Winslet who snagged the female equivalent award for her performance in 'Mildred Pierce'. The list of successful British actors/actresses in Hollywood is growing. Colin Firth and Helen Mirren are now household names here but surprisingly neither one made the list of the most powerful British film stars and movie-makers in Hollywood, complied by the UK Film Council. Granted, to make the grade actors must have had significant roles in films with a box office haul of at least 500 million pounds, but if the criteria had been sheer respect and love from film-goers Elba would have surely topped the list. Maybe he will after his next big role - playing Nelson Mandela in this summer's 'Long Walk to Freedom'.